Christine McConnell - artist, seamstress, photographer, baker, pin-up girl, and Instagram phenomenon - has turned her vintage goth sensibilities into an enviable career. McConnell's Netflix original series, "The Curious Creations of Christine McConnell" debuts on Oct. 12, 2018. 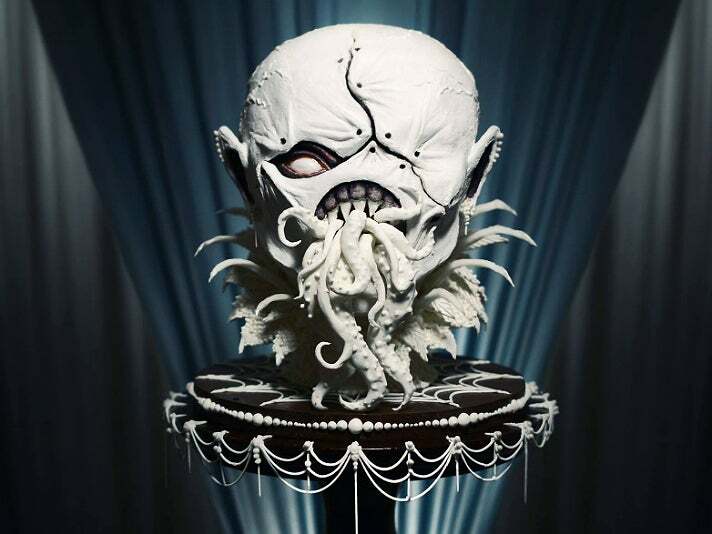 Netflix describes the series: "Wickedly talented baker and artist Christine McConnell fills her home with haunting confections, creepy crafts - and wildly inappropriate creatures." McConnell's co-stars were created by Henson Alternative (aka ha! ), a division of The Jim Henson Company that specializes in irreverent, grown-up comedy projects. When the "Curious Creations" trailer went live, McConnell thanked her 280,000+ fans on Instagram: "To everyone watching this: All your support and encouragement is a huge part of why this happened for me... I’ll never be able to thank you enough." Her talents landed her a fantastic collaboration with her idol, Tim Burton on his 2016 film, Miss Peregrine’s Home for Peculiar Children. 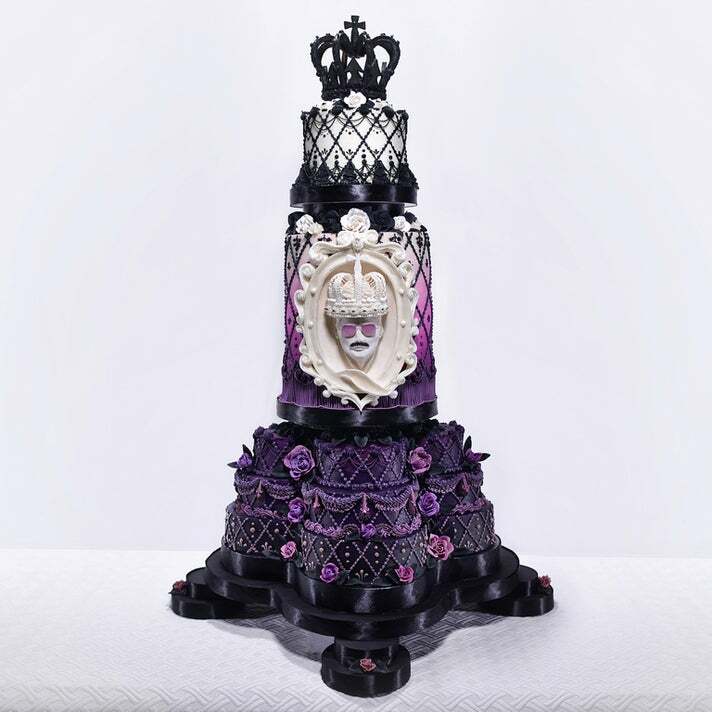 A former hair/makeup stylist to the stars, McConnell was given carte blanche to create work – whether it was photos and costumes for a 12-month calendar, or her signature, 100% edible, elaborately creepy baked goods. In this case, it was a nightmarish “Wight cake" and a spinning gingerbread version of the Peculiar house (it tells time) as imaginative promos for the movie. Another movie related project was the Freddie Mercury birthday cake she created in September for 20th Century Fox, which is releasing Bohemian Rhapsody later this year on November 2. McConnell describes her creation: "It's a Victoria sponge cake with a white chocolate bust of Freddie Mercury. 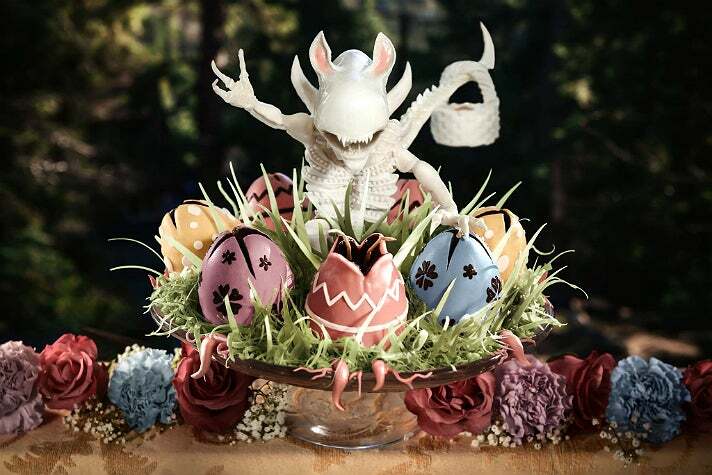 Everything is edible and delicious aside from the supports and the gum paste roses... which taste like sugared drywall." These inventive, fun pieces of work are a perfect segue into her favorite time of year, Halloween. In previous years she hand-decorated the façade of her parents' L.A. area home. Discover Los Angeles recently chatted with her about her fascinating Peculiar project, designing her zombie-themed Halloween house, and her favorite haunts in Los Angeles. How did the Peculiar project come along? My work is very Burtonesque. I’m very influenced by him to begin with. I’m a huge movie buff. They asked me to create projects off the movie so they could use them for promotion. They basically gave me carte blanche for whatever I wanted to do. I got to see parts of the movie and got a super behind the scenes look. It was so much fun! How was it to finally meet your idol, Tim Burton? Wow, you know how it is when something you’ve been hoping for finally happens and you forget most of it? He’s actually a fan of my work and recognized me right away! [2016 was] the perfect year for me. The Peculiar project; my first book, Deceptive Desserts came out; I baked cupcakes with Dita Von Teese on Cupcake Wars; I got a private tour of NASA’s Jet Propulsion Laboratory. It has been a dream. So much so, I’m almost afraid of what’s next. Explain your process. What part of the idea do you start with? Costumes, baked goods, color? Well, I’m kind of like everybody else, and I absorb a lot. I love movies and entertainment. Weird thoughts will pop up in my head while I’m reading about vintage desserts in an old magazine and then I’ll start researching how to execute it in a different way. I loved working on the Peculiar gingerbread house – I’m fascinated with edible houses and building things. I’ve always wanted to do a creepy pin-up calendar and got the chance using Peculiar’s “strange abilities” concept. It was shot in my living room with a makeshift painter’s drop cloth in the back. You wouldn’t have believed it in real life. Making the Wight cake was a chore. It had to be kept really cold. I refrigerated it for 30 minutes and worked on it for 20. It took forever. Compared to that the gingerbread house was easy. Once you bake it it’s just about building. But if you’d seen my gingerbread not even five years ago, it was bad. I’ve had lots of practice and I research just about everything on YouTube. I’m totally self-taught. My dad has always teased me that I’m too into holidays. I just started coming up with these ideas and started researching how to execute them on the cheap. And since I started posting them on the Internet, the weirder they got, the more people liked them. So I’m motivated to challenge myself all the time. This was not my plan, or a career path. It’s kind of like being a kid forever – all these projects are just as magical to me as they are to anyone else that sees them. It’s the most fun career ever. 1950s magazines. I watch at least two movies a day. I have my favorites — anything by Hitchcock, Burton or space exploration. They can be super old or super new, I watch everything. Yet, a friend had to harass me to open an Instagram account. I think my first post was a photo of my cat. Oh, I’m so embarrassed. Nothing cool. I love a lot of the Hitchcock movie soundtracks, but really, you know how people are worried that their phone will get hacked and all their naked photos will get released? I’m more worried about my music library getting leaked. What are your favorite things about L.A.? 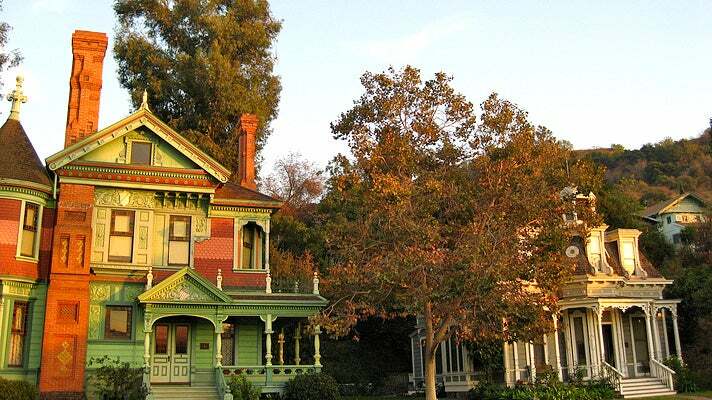 Oh, the Heritage Square Museum, the cluster of Victorian houses that were all moved from a different location near the 110 [freeway]. There’s a church too. 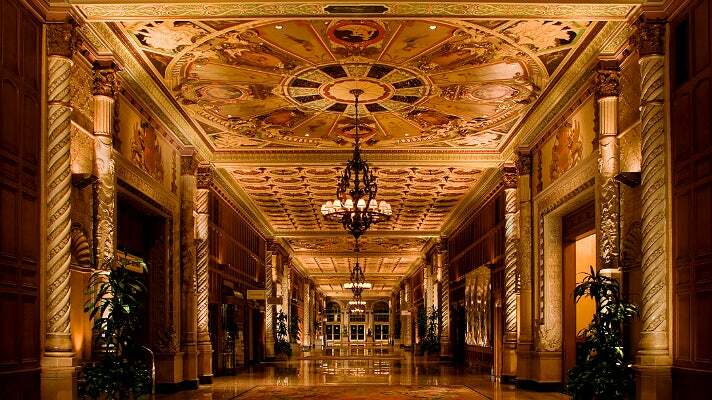 The [Millennium] Biltmore Hotel in Downtown Los Angeles. I stay there as much as I can. The architecture is so beautiful, it’s part of history and the Black Dahlia was last seen there. I love it. But really, whenever I have time I make a point to hang out at the Westwood Village Memorial Park. It's stuck in between all these tall buildings and yet I find it so peaceful. 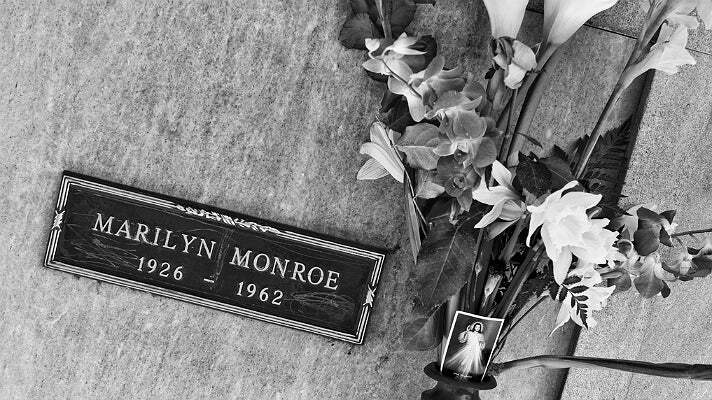 Marilyn Monroe is buried there. 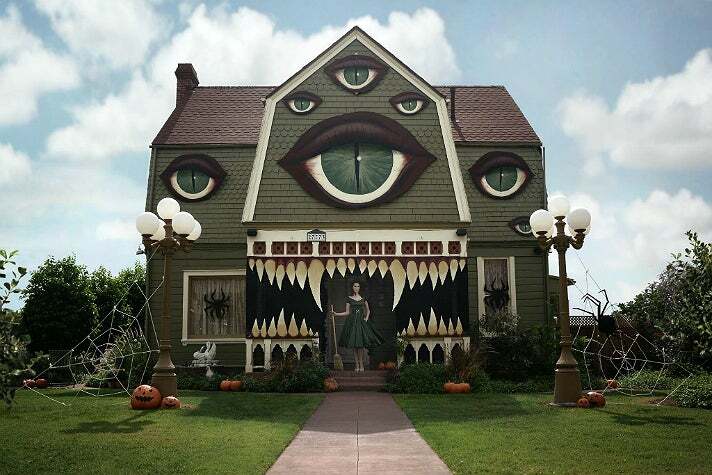 Tell me about the Halloween house decorations - how did that begin and how long does it take to complete? Do you have help? I mock everything up in Photoshop first. It involves an entire veneer of foam core and 1,000 hand shaped shingles. It’s always done by just me, I hate asking people for things and I’m a firm believer in do-it-yourself. I do all my own photography, too. I can be more proud of it when It’s done that way. I’m going to find a different house for next year, somewhere just as interesting and creepy. Maybe I’ll hold a contest. I love meeting new people!